The Gay Gamer: How do you say 'bow chicka wow wow' in Japanese? I have to preface the following with this: If this "game" is brought to the States, my mom will eat it up like it's her last meal. What "game" am I talking about? 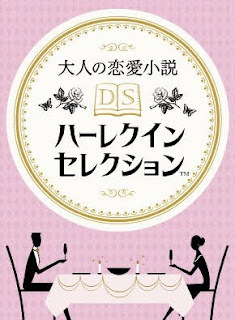 Nintendo's latest (and sure to be greatest, at least among middle-aged and older women) "expanded audience" title: Love Stories for Adults: DS Harlequin Selection. Yep, the folks at Nintendo signed a pact with the devil--or, more precisely, Harlequin, publisher and purveyor of trashy romance novels--to produce said DS title, which will include 33 novels from the "Harlequin Series." According to andriasang.com, Love Stories for Adults will be more than just a "text dump." Users will be able to "view summaries of what [they've already] read, adjust font size, search through glossaries of terms and names and even select background music to provide atmosphere." HA! Oh man...that's a promise I want kept! Seriously though...this is really odd. I guess the DS is really being seen as a tool for marketing media AND a game system. That's kind of cool. Well, I think I'm pretty safe--Nintendo of American didn't release '100 Classic Book Collection' even though it was completely translated (it was released in Europe), so I doubt they'll release this one either.